Final Fantasy XIII-2 is available now on PC through Steam or Square Enix’s online store. Priced at $19.99, the PC port features a number of enhancements such as 60 frames-per-second support, customizable resolution to 1080p and beyond, and both Japanese and English audio options. · Sazh: Heads or Tails? Final Fantasy XIII-2 features new gameplay systems, updated visuals and audio. In this game, players have the freedom to choose from a range of possibilities and paths; their choices affect not only the immediate environment, but even shape time and space. 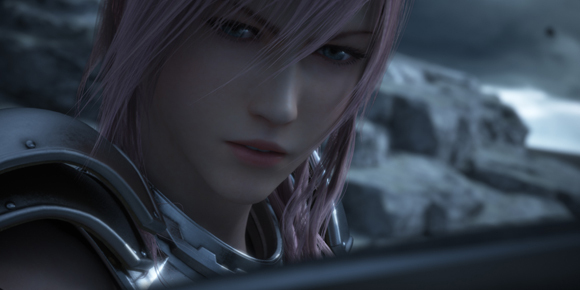 Square Enix will release the final entry in the FFXIII series on PC – Lightning Returns – by Spring 2015. I read that next Motomu Toriyama(Director of all FFXIII) will be announced this year. Who is Excited? I really liked first FFXIII. Gameplay, English voice actors, Graphic, Awesome battle system, soundtrack, great story and design was Amazing. Maybe was linear but was Awesome game. Xiii-2 was worse in every aspect but have bigger world which I didnt found making game better. Didnt play Lightning returns but after playing demo I can say the game is not the best but gameplay was nice. Who is waiting for next Motomu Toriyama game? I’m not a big fan of Toriyama has I have mixed feelings towards his games. To me, the only good games he made was XIII and LR, the rest was meh. LR easily became my favorite PS3 game, even in my top5 favorite FF, Lightning my favorite FF character. Nonetheless, I’m very curious to know what he’s been working on. Maybe Project Setsuna is His new game? The one announced on e3. Or Square announced already who will be directing this? Thats right. Lightning is mega cool character and Her english voice is really good too. Didnt heard the Japanese but english voice is great. I really like all main characters from FFXIII trilogy. Lightning, Serah, Vannile, Hope, Sazh, Snow, Fang and Noel. I know that people hate FFXIII but I really like this universe. Cocoon, l’cie, fal’cie, eidolons and other things. Me too. Im very curious to see what game Toriyama is working on. I don’t think its the new RPG since its not made internally at Square and that’s where Motomu is. But i am really excited about Project Setsuna too. All Square Enix rpgs are great. You played Last Remnant? I played only demo on Pc long time ago ant it was great! I was waiting for the PS3 version, my PC is not very capable of gaming. Maybe we will get Ps4 version instead of Ps3 version. That would be nice to see al little improvement to the graphic and maybe some dlc.